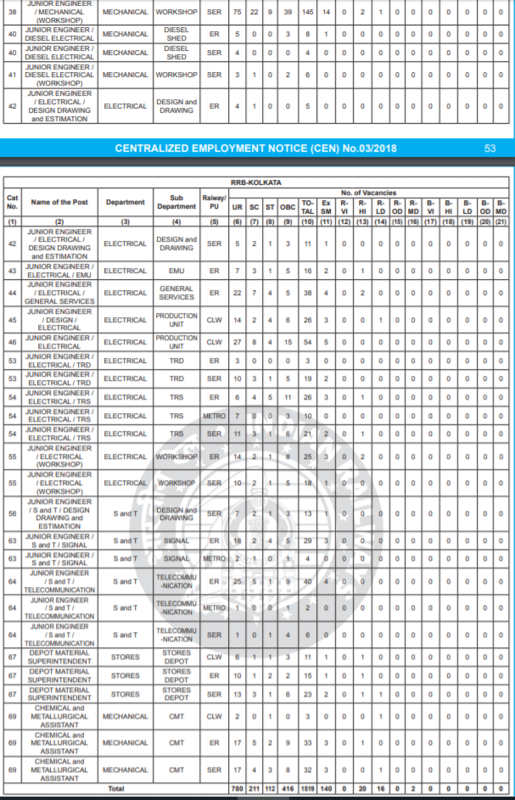 RRB Kolkata recruitment 2019| Latest JE 1697 vacancy notification link! 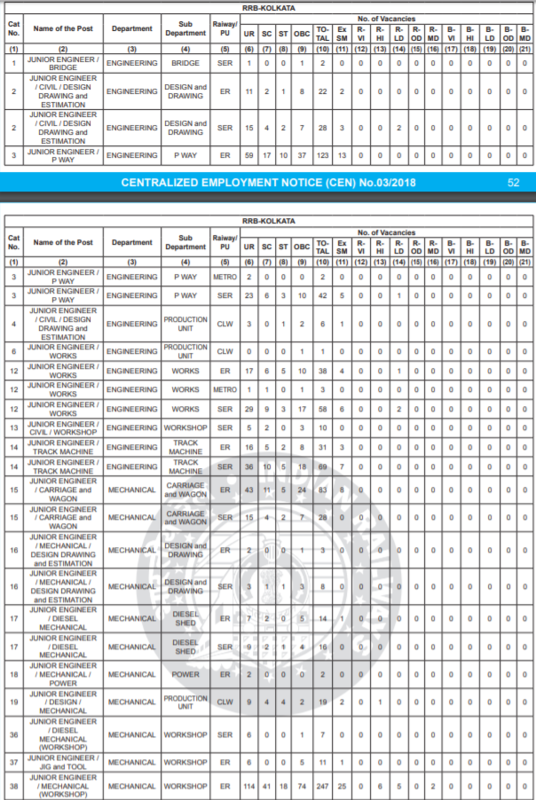 RRB Kolkata recruitment 2019-2020: Applicants from Indian nationals (male and female) are invited from the desirous and eligible applicants to fill-up 1697 following vacancies to the posts (JE), DMS & CMA jobs in the railway recruitment board Kolkata zone. All the interested candidates must check out the important dates, eligibility criteria such as Age limit, Requirement & desirable Education qualification, Exam Syllabus, Exam pattern, official notification and apply online link. You can apply for the railway jobs on their official website (http://www.indianrailways.gov.in or http://rrbkolkata.gov.in/ ) as per given below schedule. Age Limit: The age of applicants should be between 15 to 28 30 years as on 01-07-2019. (Zee news, age limit changed from 28 to 30 click here to read news). Education qualification: Applicants must be 10 pass or Matric/ ITI/ Degree certification from recognized board or Institution. All of you need to click here. Now enter your personal details. Keep ready a scanned / digital copy of one recent passport size color photograph (3.5 cm X 3.5 cm, JPG/JPEG format, 100 DPI, 20 KB to 50 KB size) of yours and scribe (if applicable). SC/ST candidates who want to avail the facility of free travel should also keep a scanned copy of SC/ST certificate for uploading (JPG/JPEG format, 50 KB to 100 KB size).